Psychologist Dr. Kita S. Curry joined Didi Hirsch Mental Health Services as the Division Director of Family Services in 1994 and became President and CEO in 1999. Under her leadership, Didi Hirsch has grown significantly, preserving and increasing services in communities where stigma or poverty limits access. The annual budget has tripled since she took the helm. Dr. Curry is a passionate advocate for community mental health. She has testified before the California legislature and served on California’s Advisory Committees on Suicide Prevention and on Stigma and Discrimination. 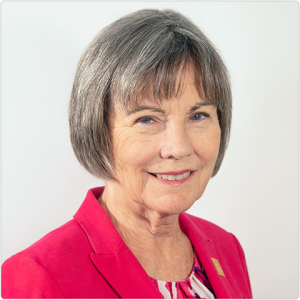 She is past Board President of the Los Angeles Association of Community Human Service Agencies (ACHSA) and the California Council of Behavioral Health Agencies (formerly known as CCCMHA), which co-sponsored the Mental Health Services Act ballot initiative. Until recently, she served on the Board of the National Council for Behavioral Health and currently is a member of the National Suicide Prevention Lifeline’s Steering Committee and the Los Angeles Mental Health Commission. Depression has touched Dr. Curry and many other family members, including three relatives who died by suicide. To help erase stigma, she has shared her professional expertise and personal story in public presentations and numerous media appearances. Dr. Curry’s honors include an Eli Lilly Heroes in the Fight Award from NAMI Urban Los Angeles, SHero Award from former California Senator Curren Price, Jr., the Los Angeles Child Guidance Clinic’s Evis Coda Award for Building Hope for Families and 2016 Pioneer Woman of the Year Award from the Los Angeles City Council and the Los Angeles Commission on the Status of Women. In 2018, she received a Paradigm Award from the California Forensic Mental Health Association. A Phi Beta Kappa English major with a B.A. from the University of Pennsylvania, Dr. Curry received her Ph.D. in Psychology from UCLA, supported by a National Institute of Mental Health Pre-doctoral Training Grant. Earlier in her career, she was a therapist for teenagers placed in residential treatment due to histories of abuse, school failure and/or delinquency. Also an award-winning poet, her first full-length poetry collection, What Snakes Want (Mayapple Press), was released in 2015.